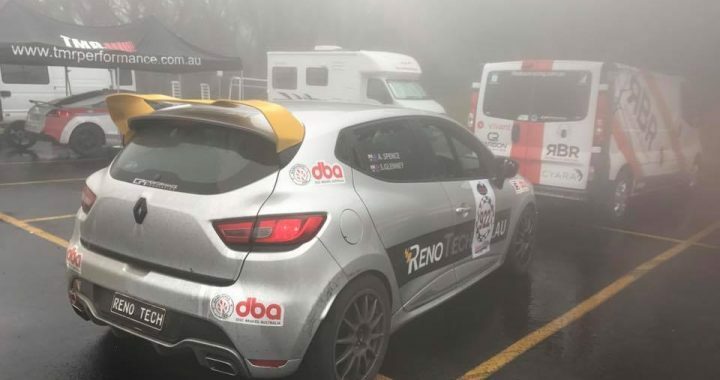 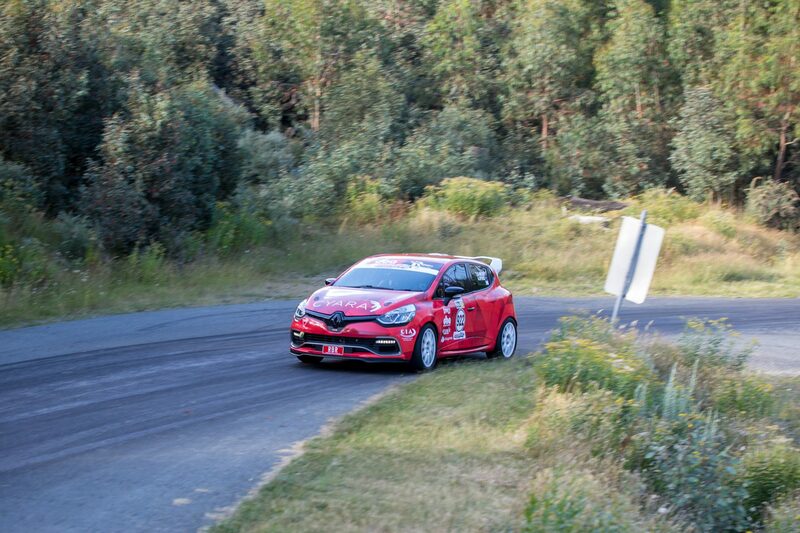 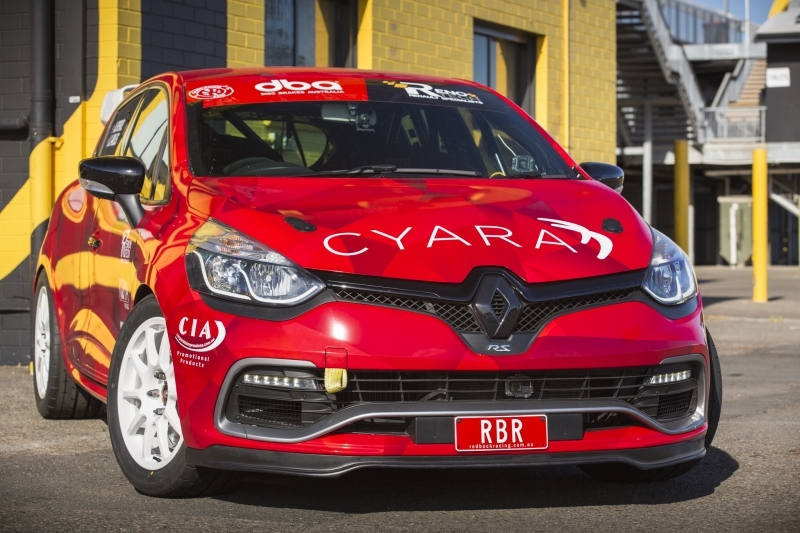 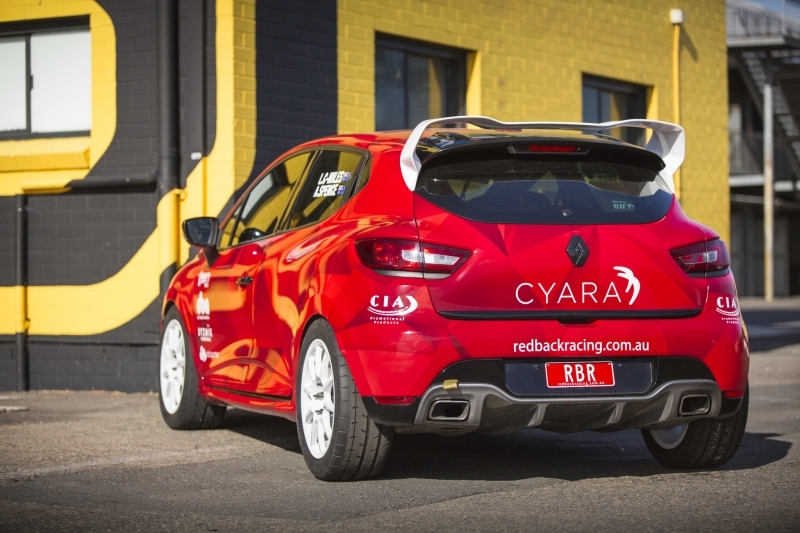 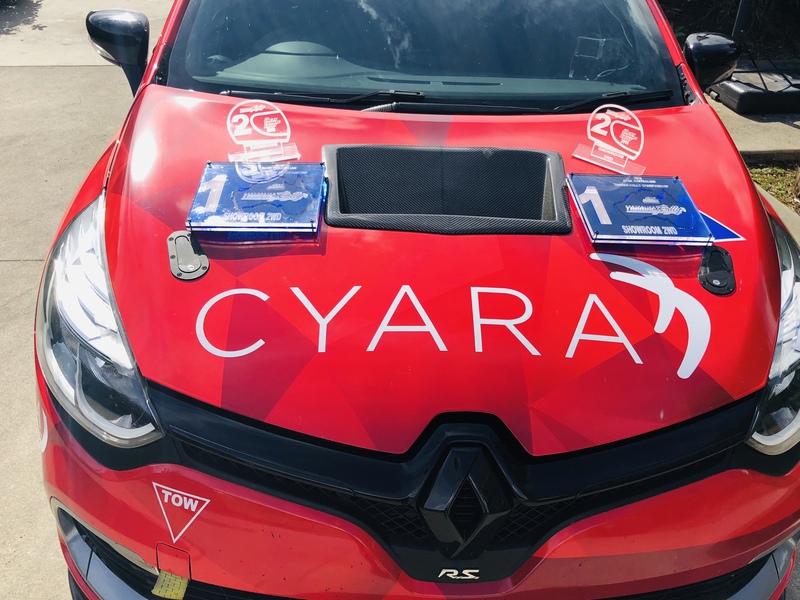 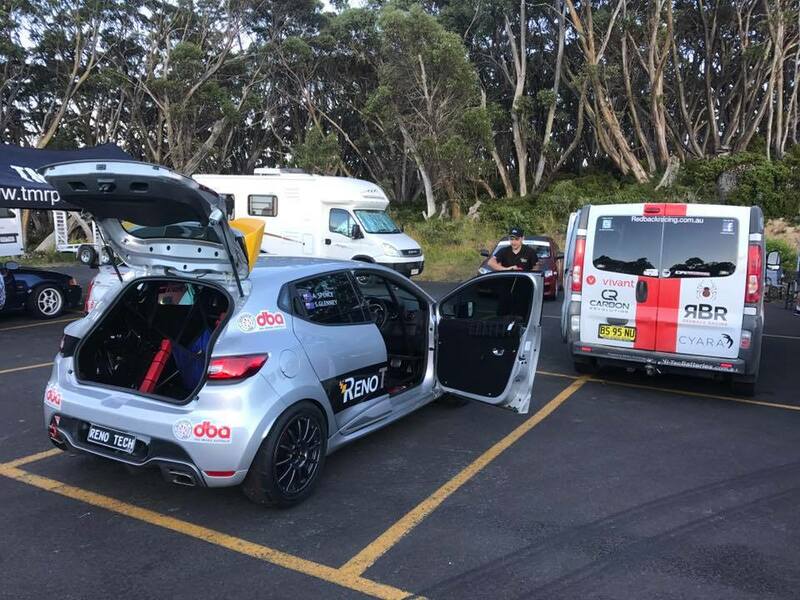 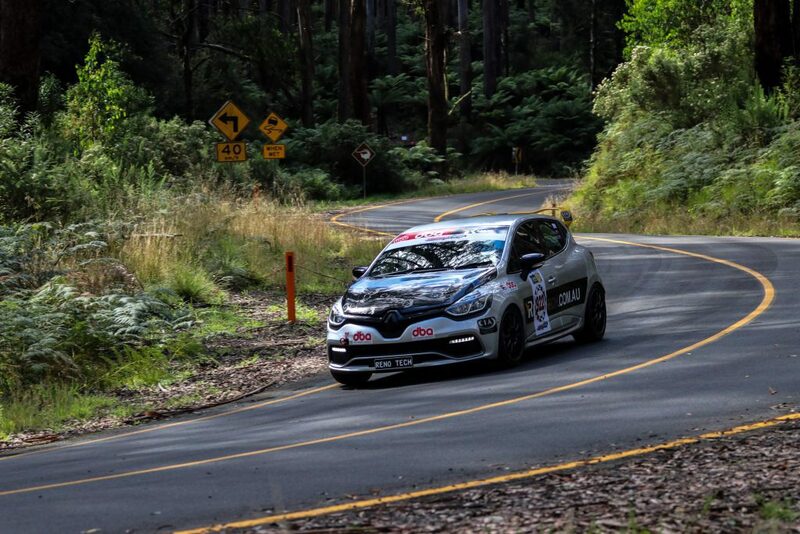 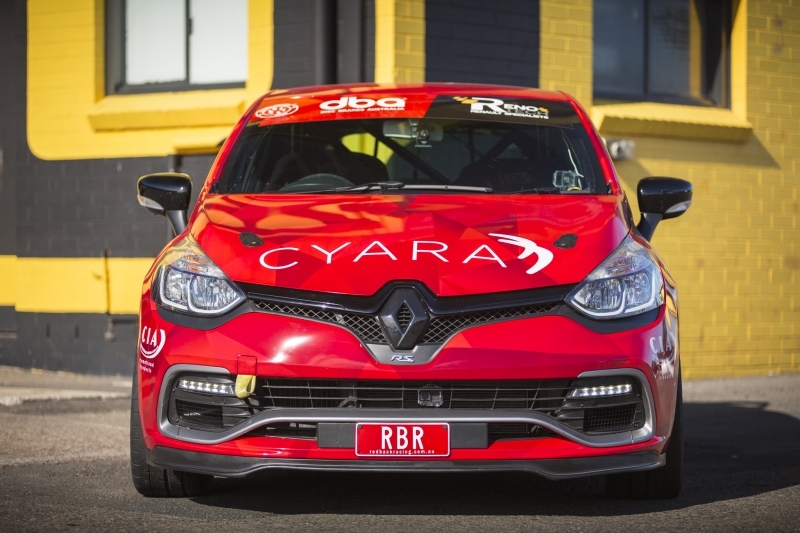 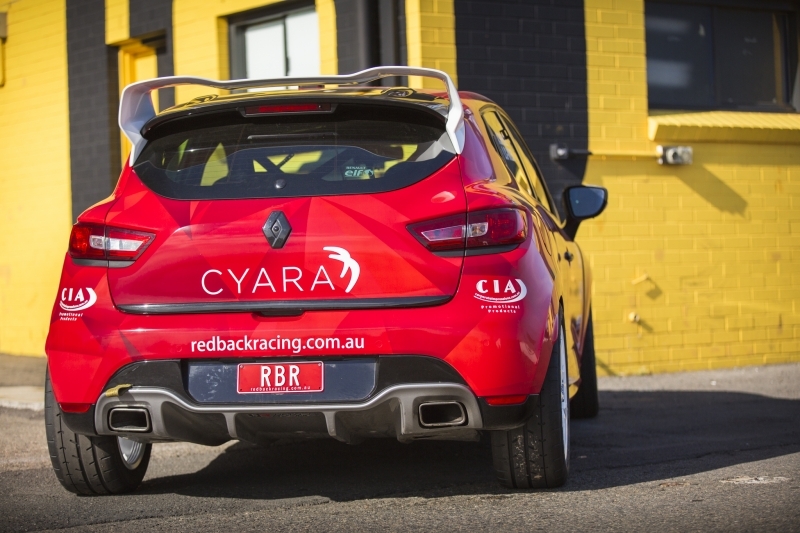 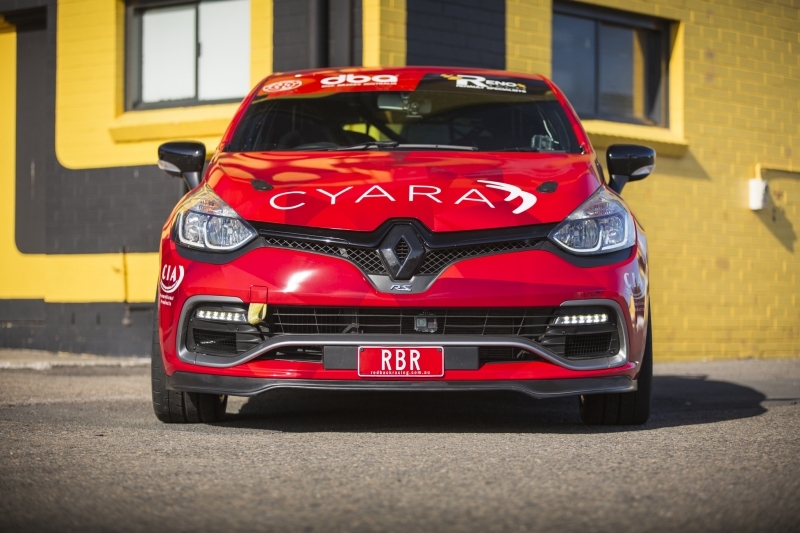 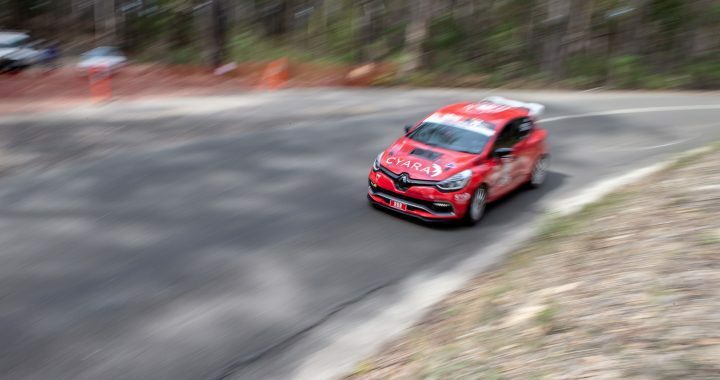 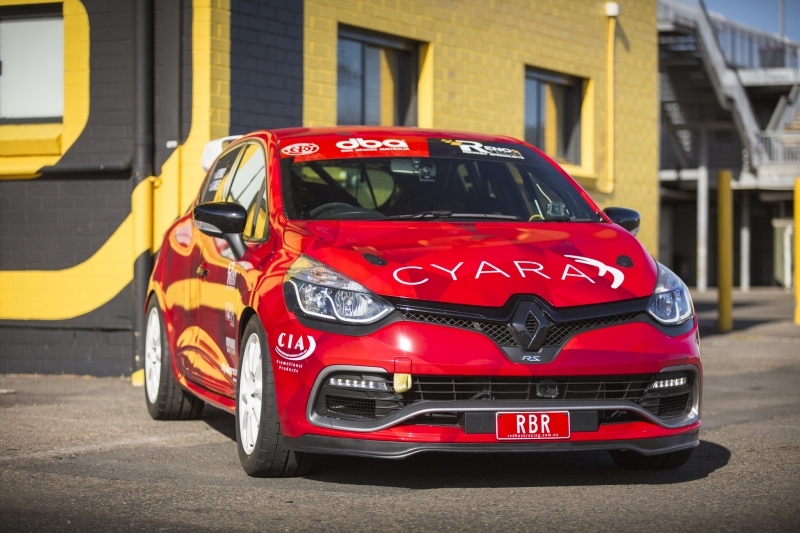 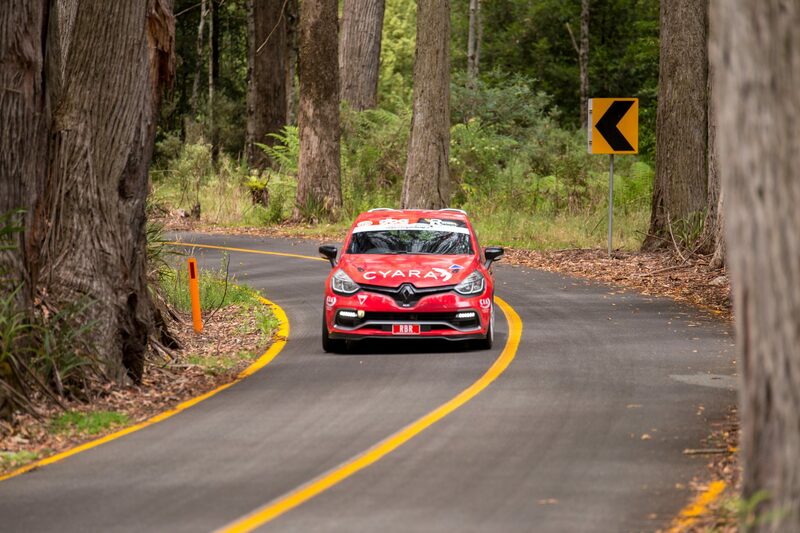 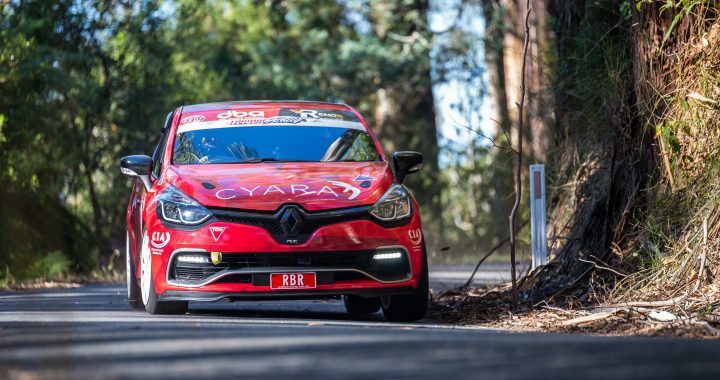 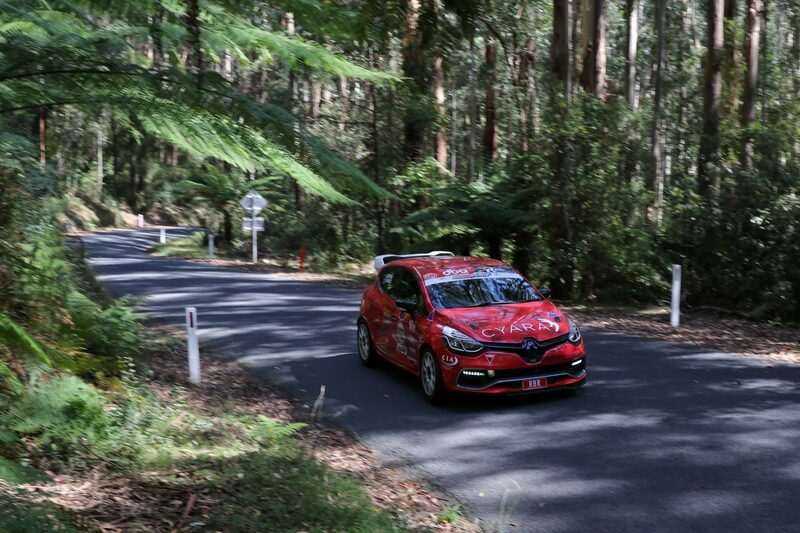 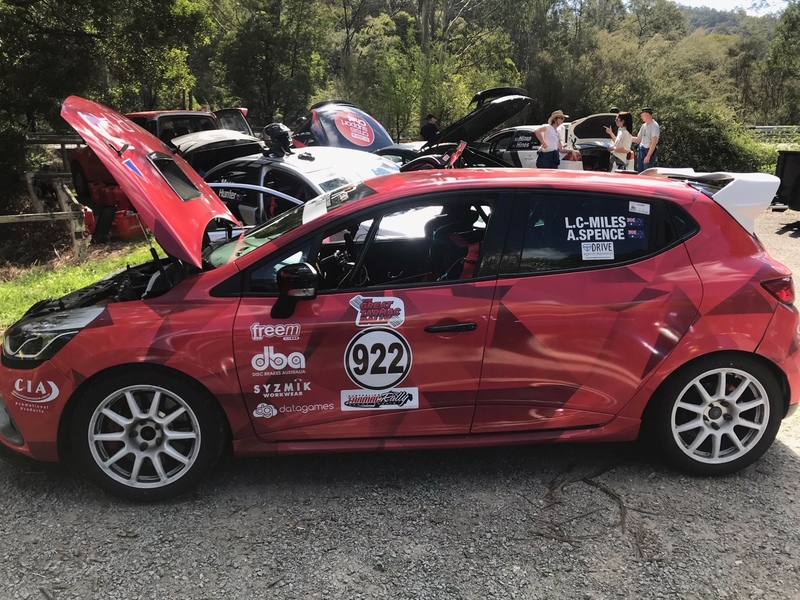 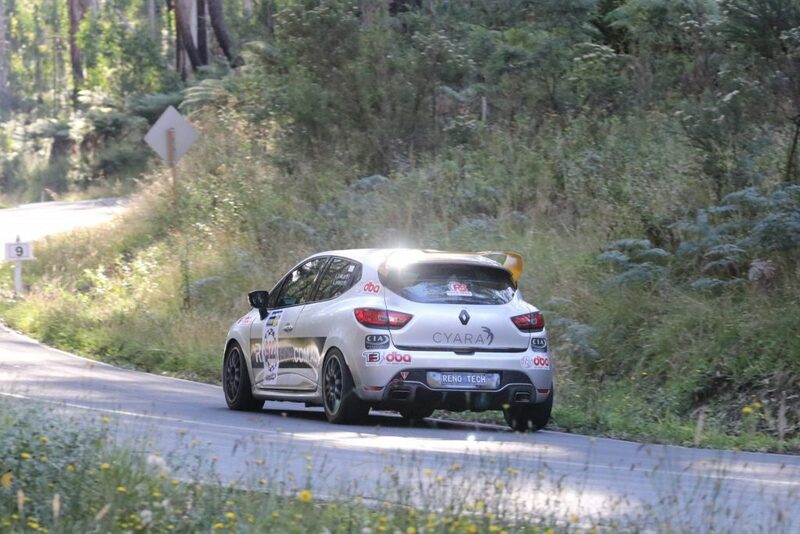 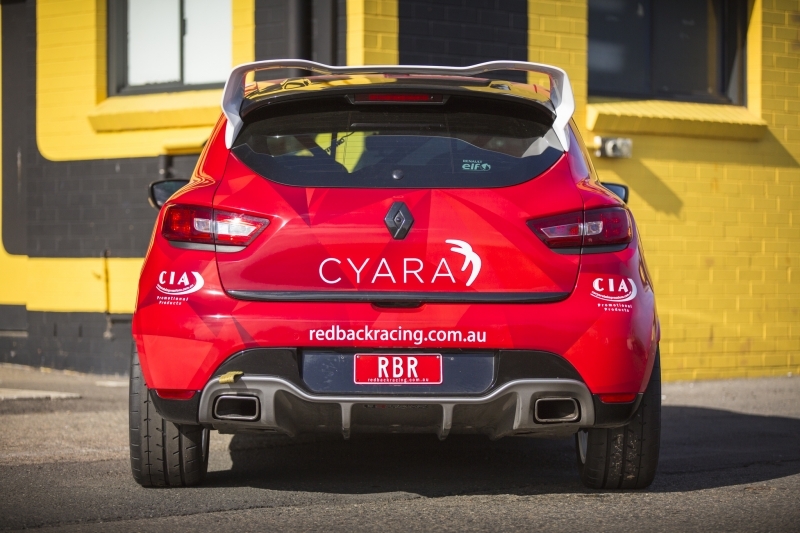 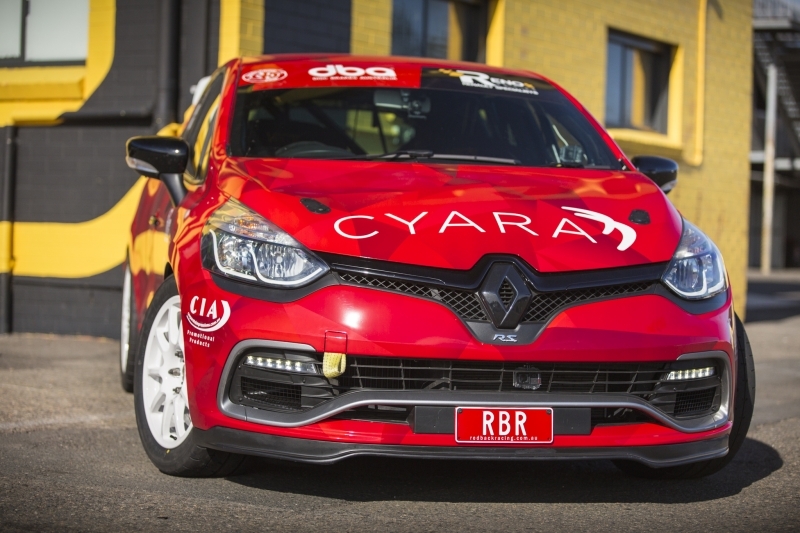 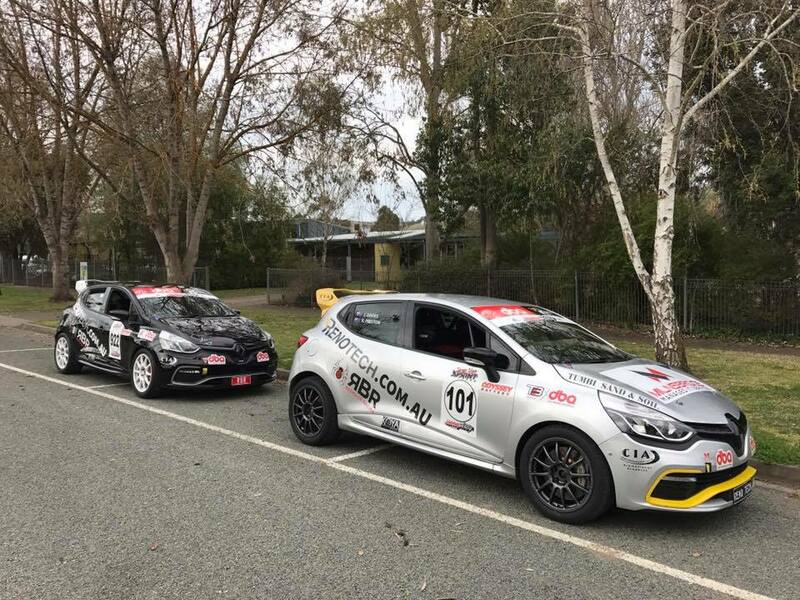 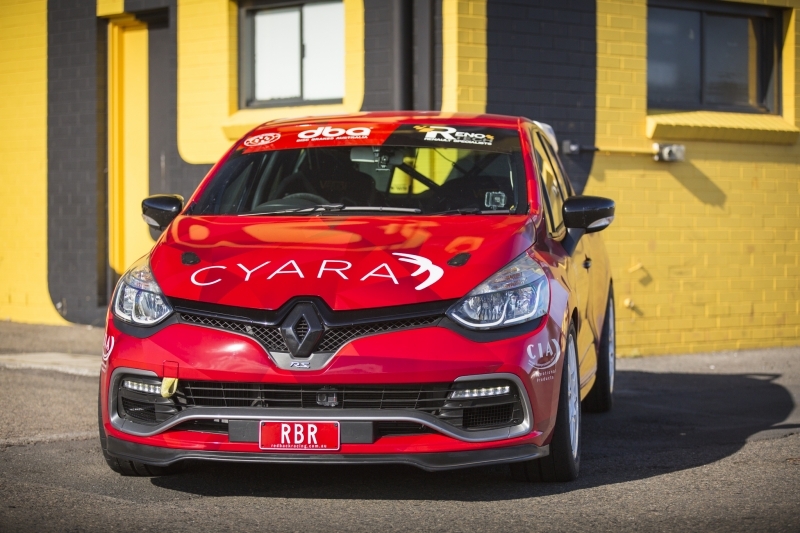 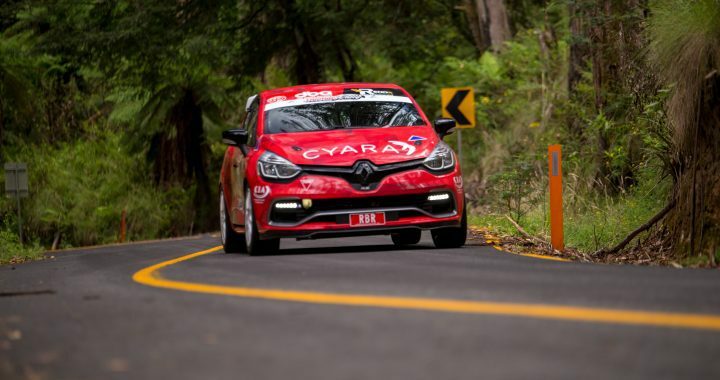 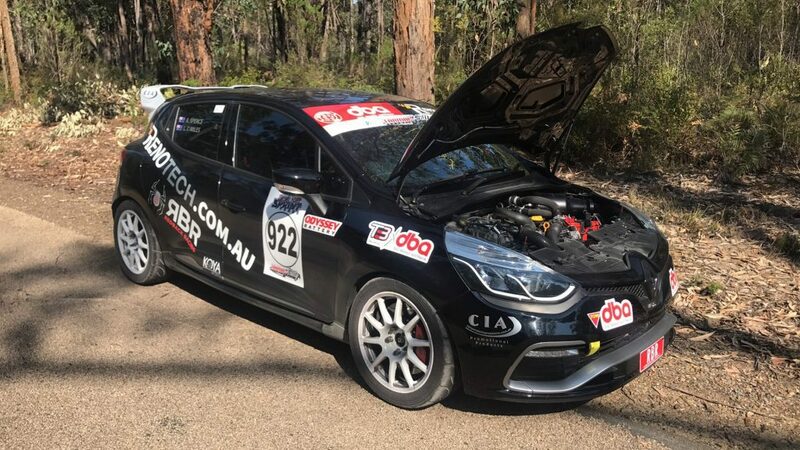 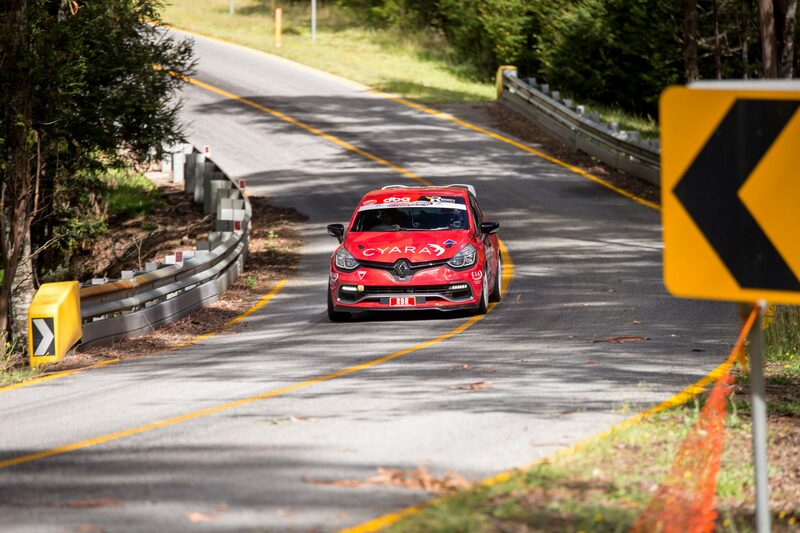 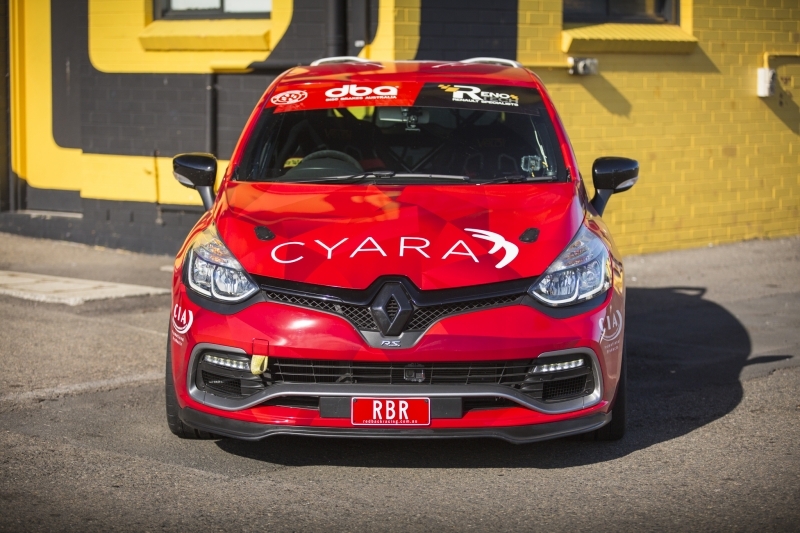 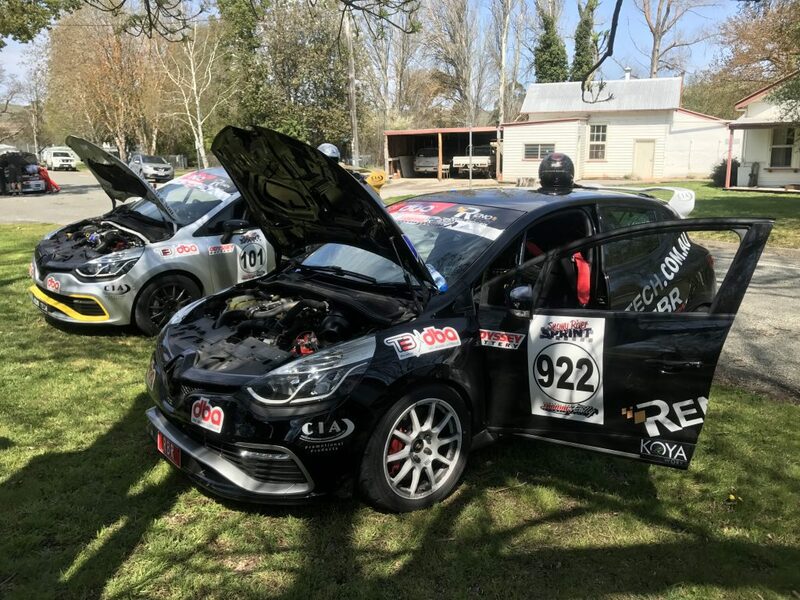 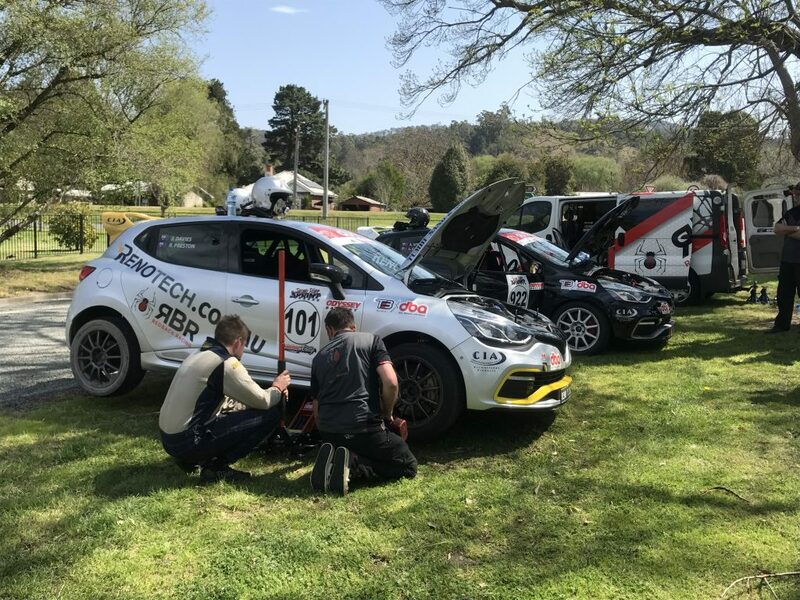 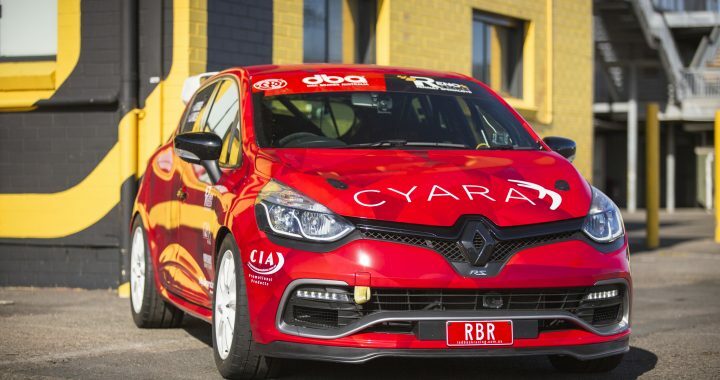 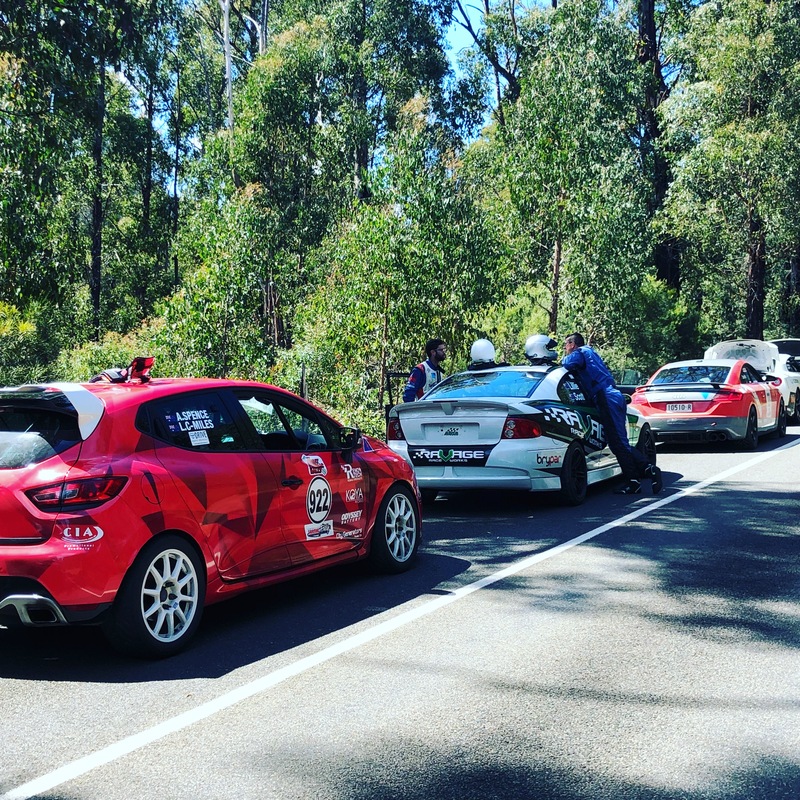 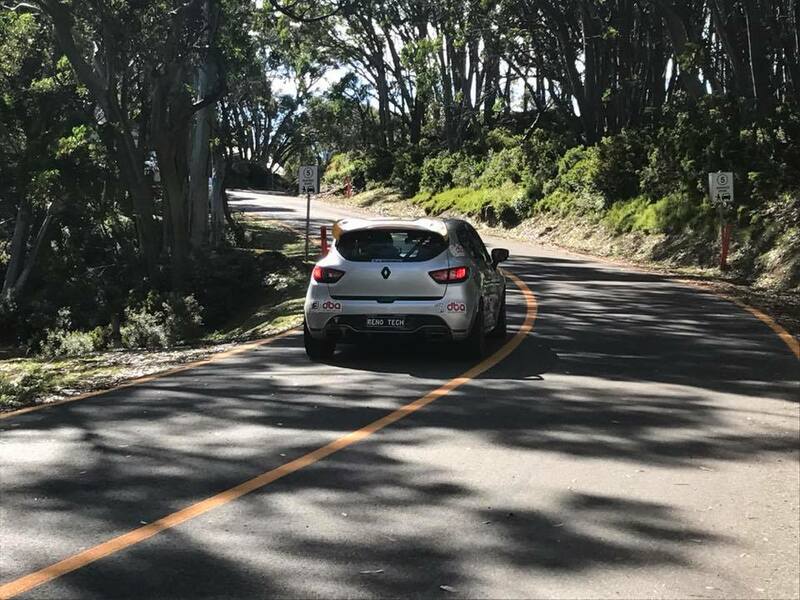 During the last weekend the team competed in round 1 of the Australian Tarmac Rally Championship, testing a new car in conjunction with the team at RenoTech who are leading Renault Sport specialists. 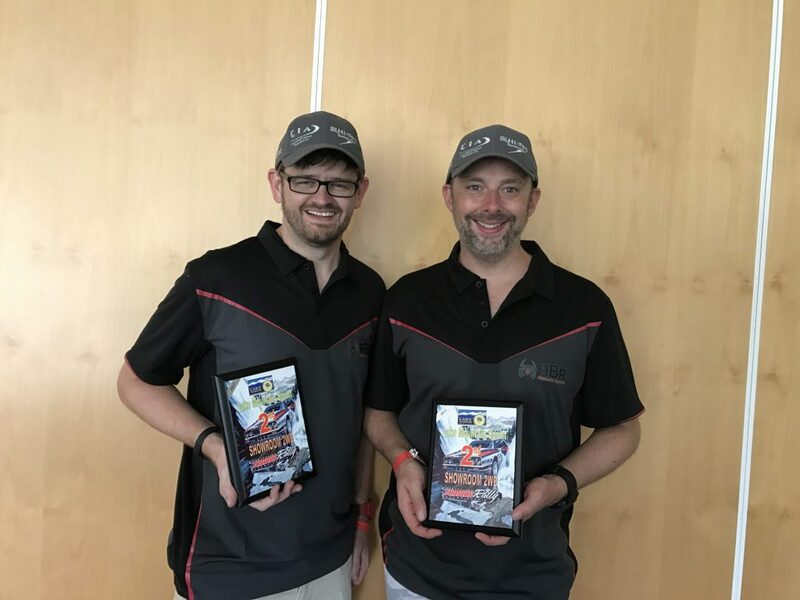 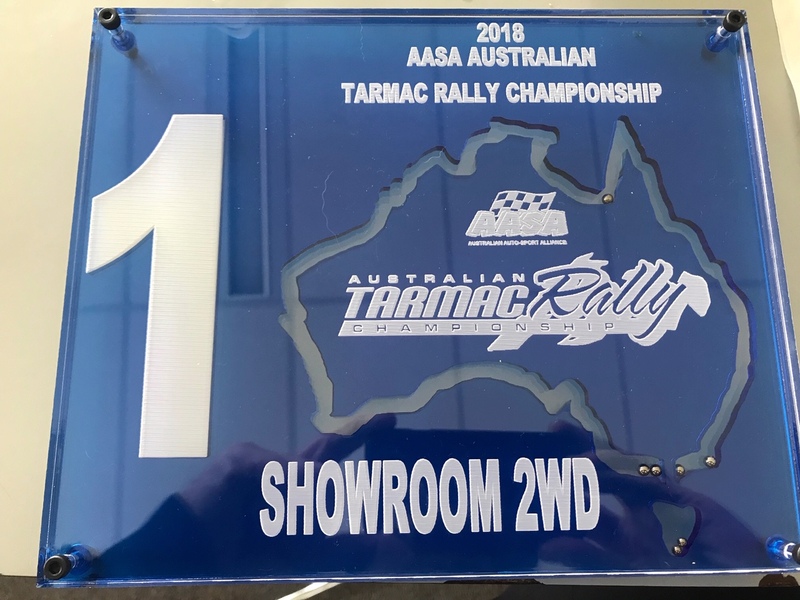 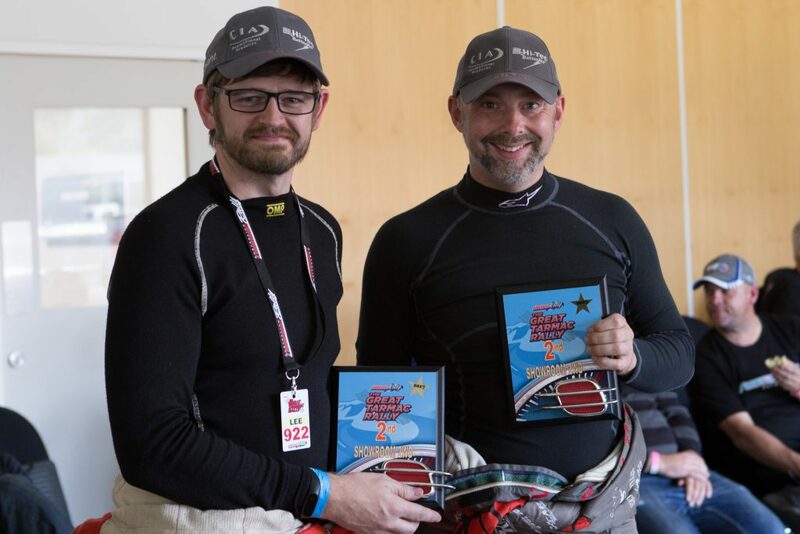 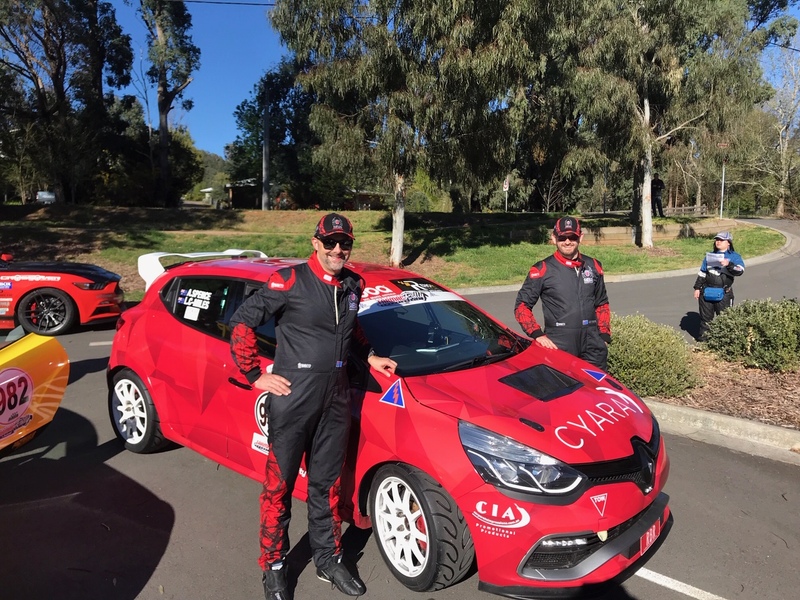 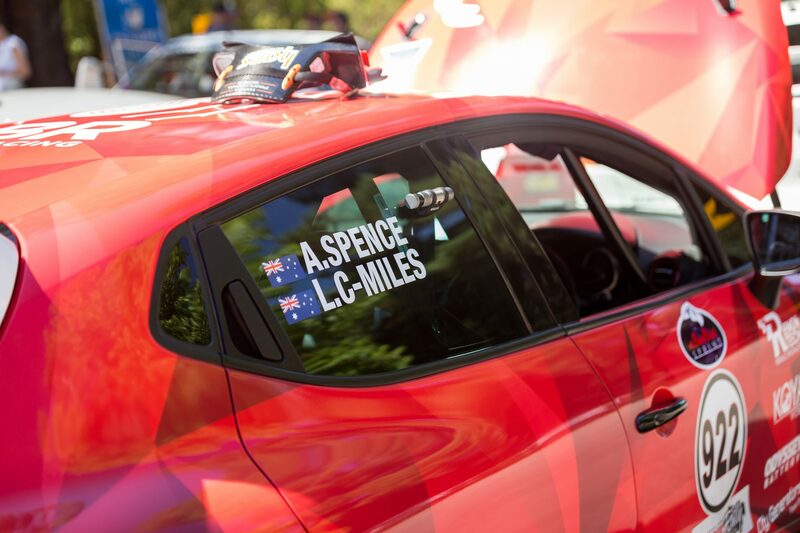 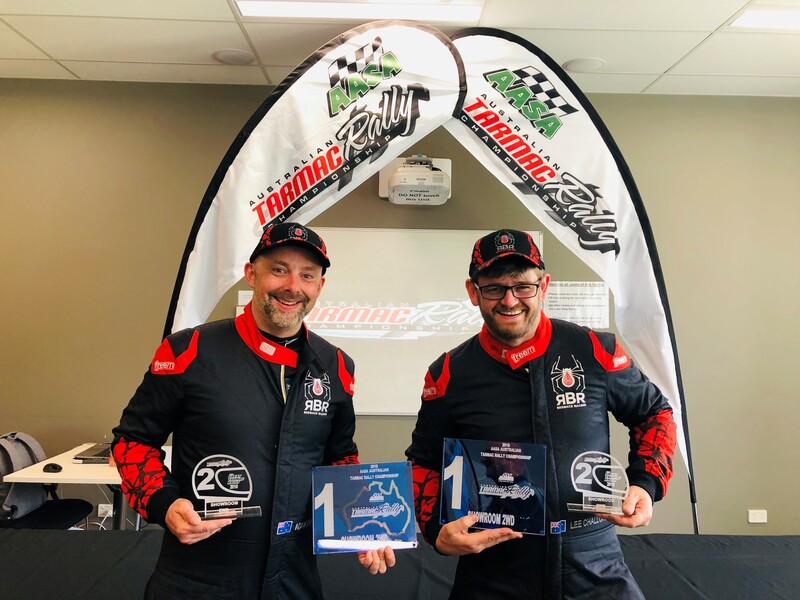 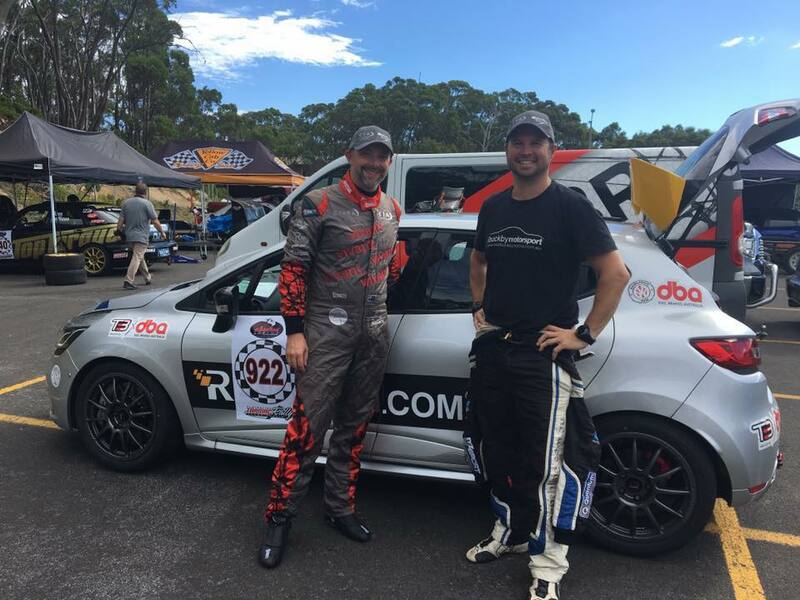 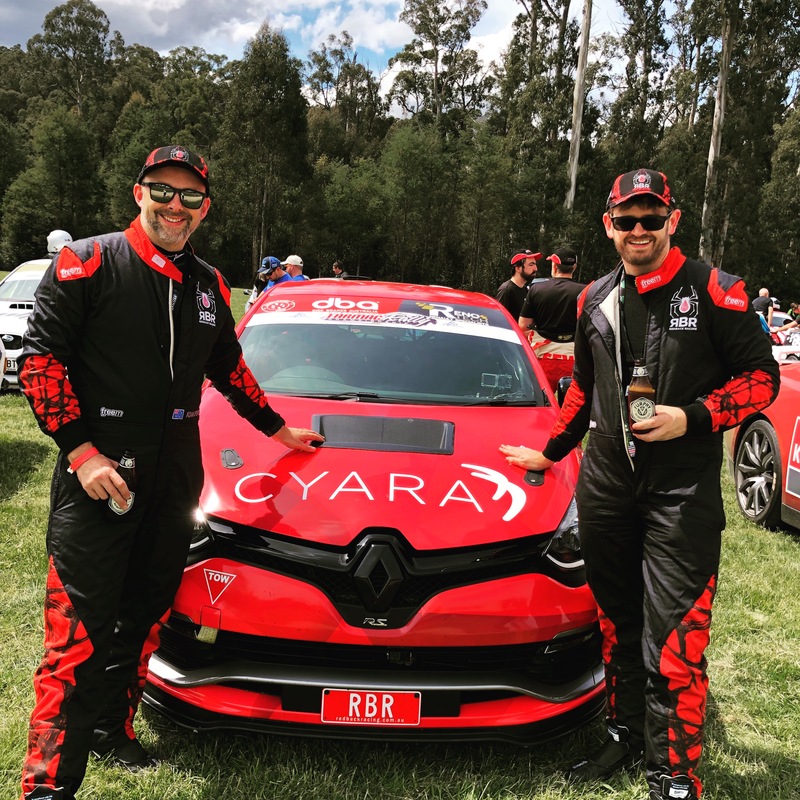 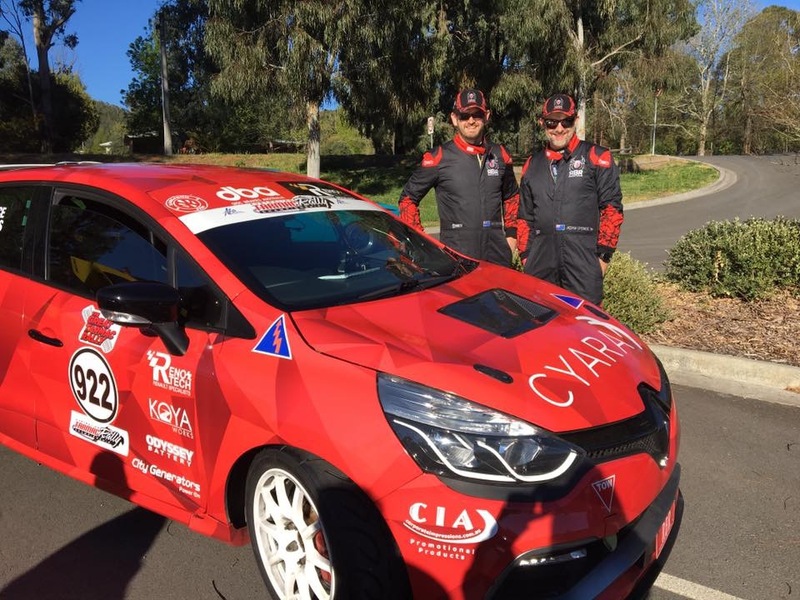 For this event Adam teamed up with Australian Tarmac Rally Guru – Steve Glenney to help make handling changes to the car and improve its performance. 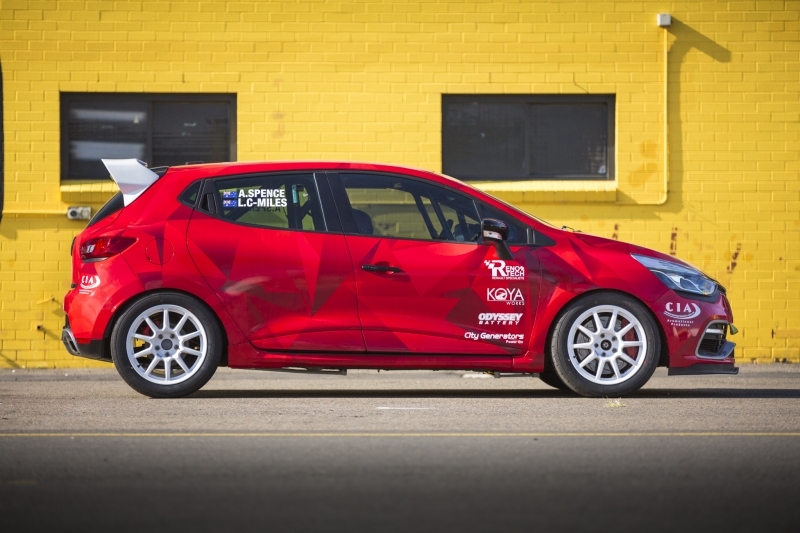 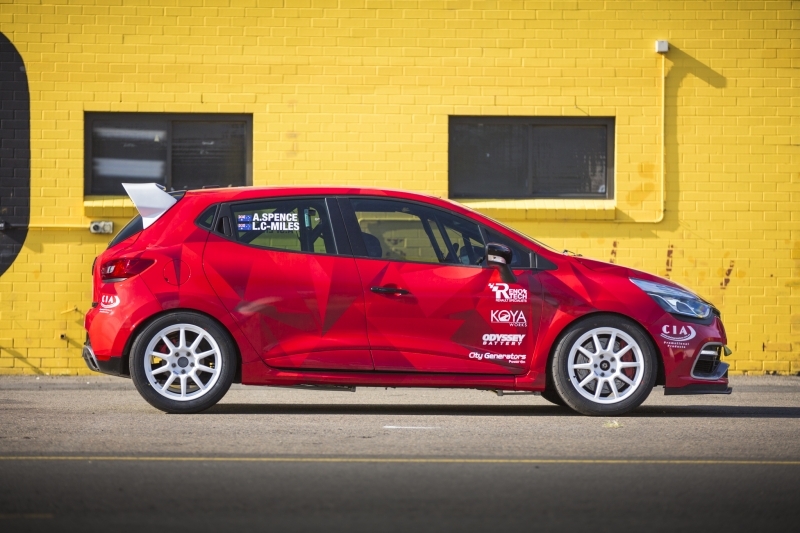 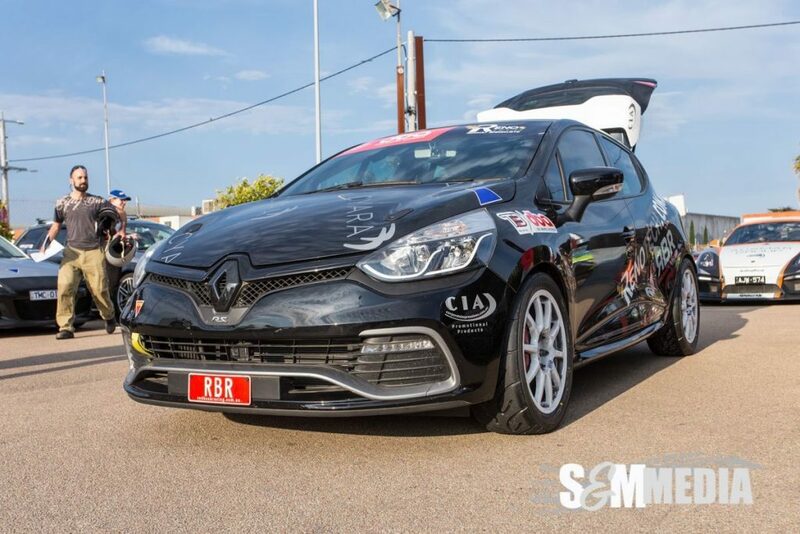 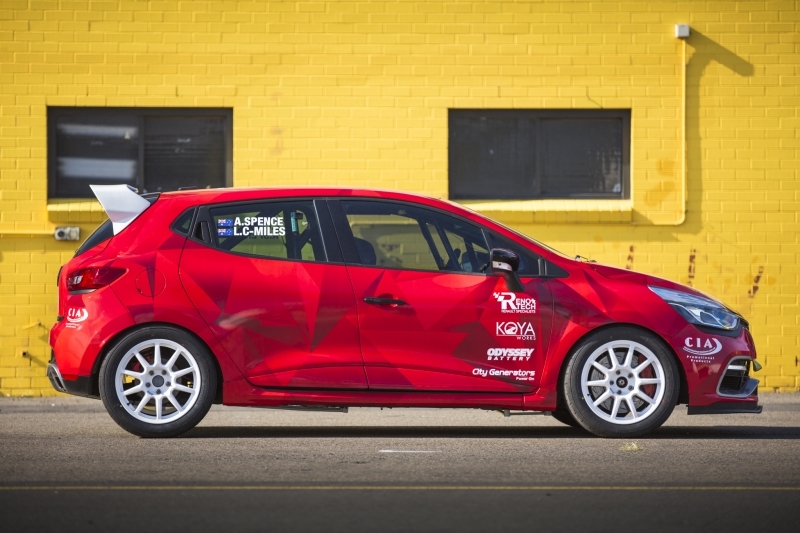 The car which is a 2015 Clio RS220 prepared by the team under showroom category rules making the modifications minimal. 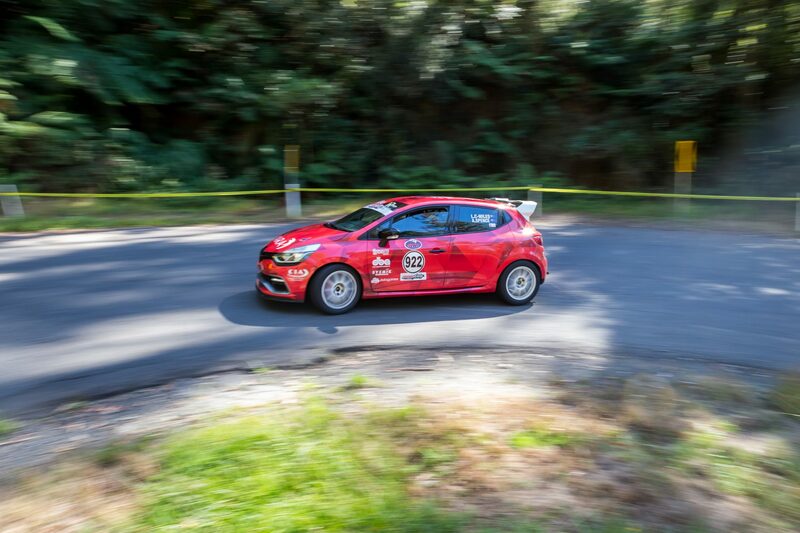 The car stunned the team on its debut outing. 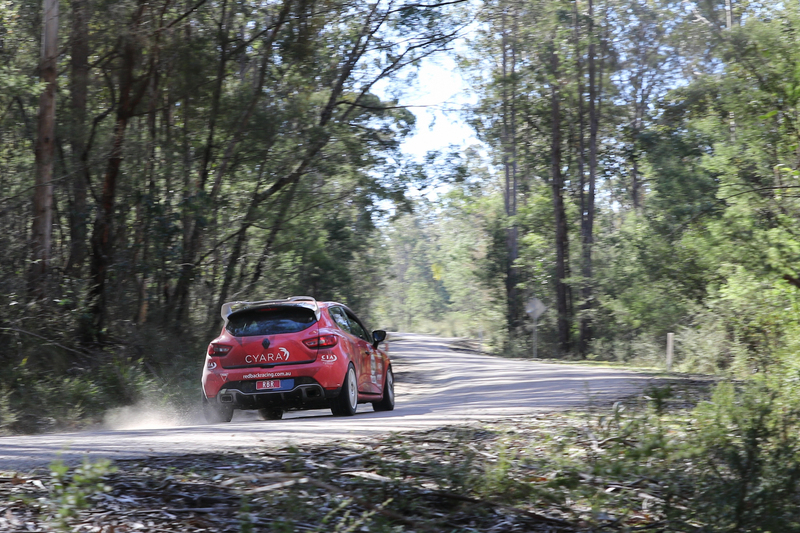 Always performing in the top 10 stage times and getting as high as 5th outright in the final stage of the day. 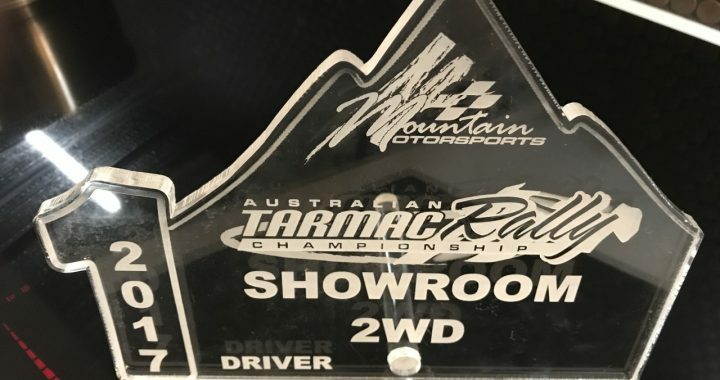 Finishing the event in 7th outright and 2nd in showroom 2WD. 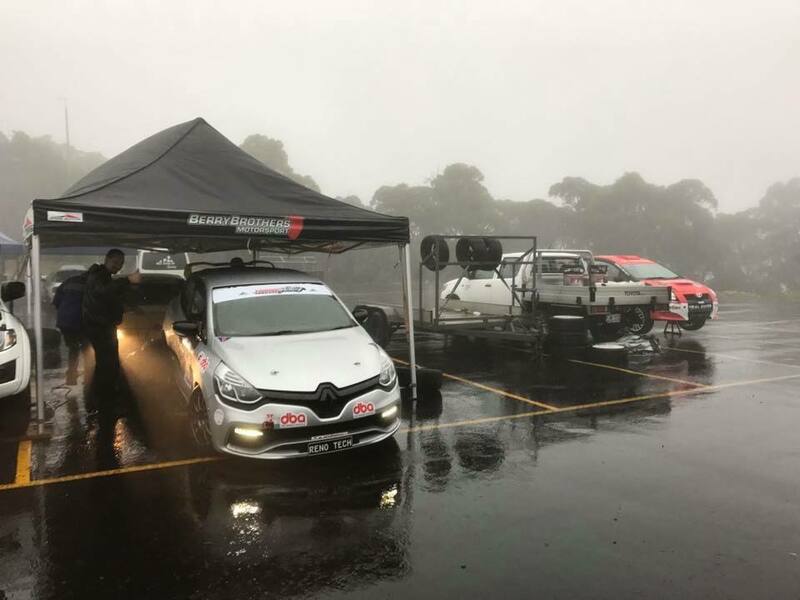 The wet conditions helped the car against much more powerful vehicles. 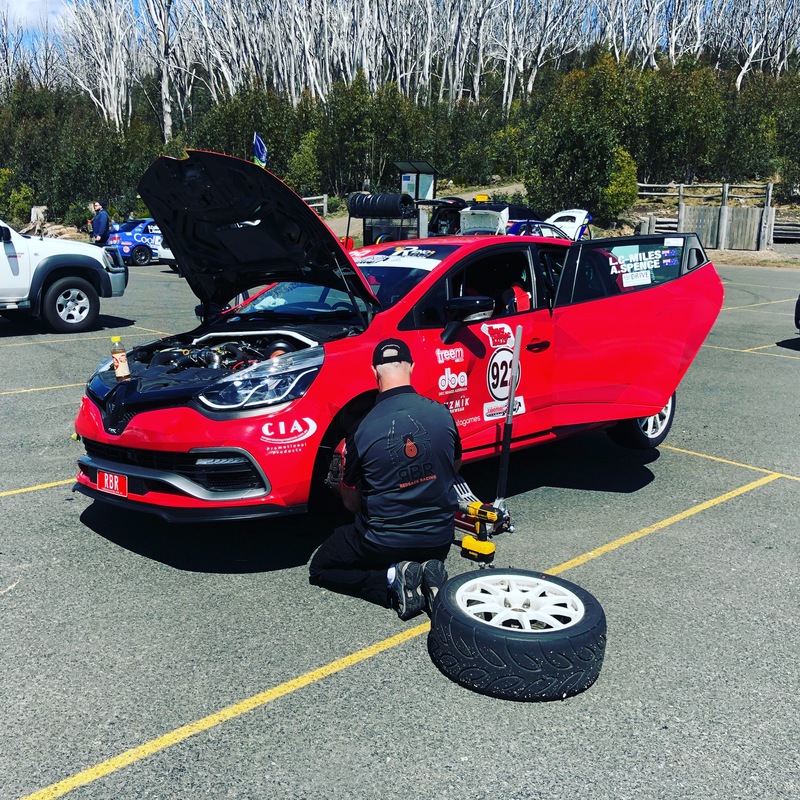 The team look forward to the next event – Lake Mount Sprint which is only just over a month away! 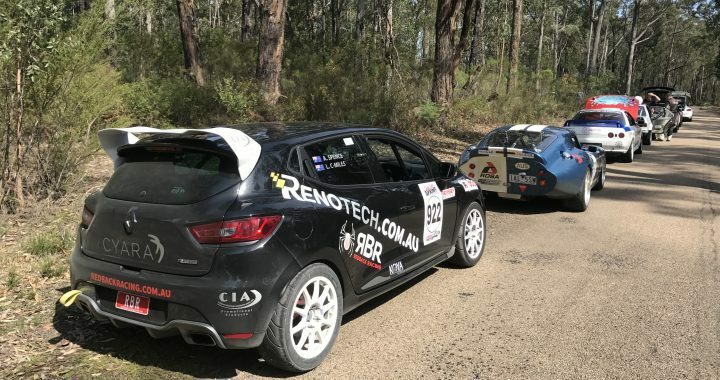 Team Redbackracing would like to thank our sponsors and support team RenoTech for their continued support and look forward to a successful championship throughout 2017. 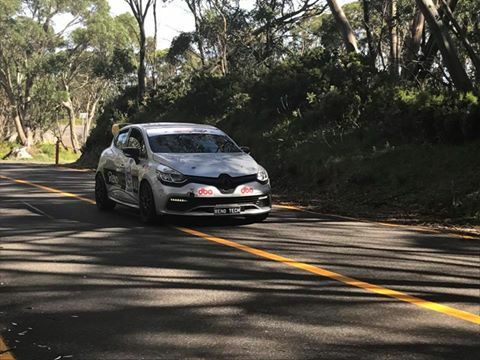 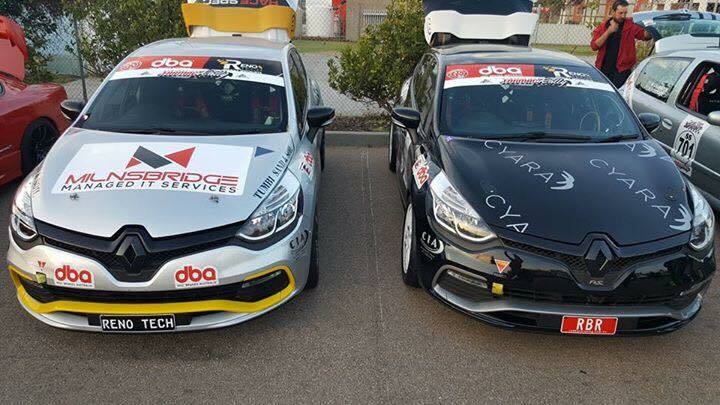 Round one of the Australian Tarmac Rally Championship is underway and with the team entering this first event of the Championship with a newly built Renault Clio. 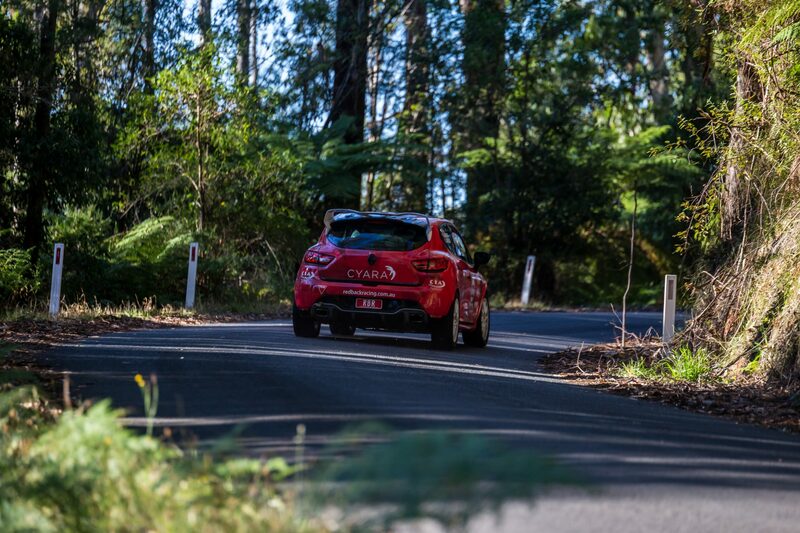 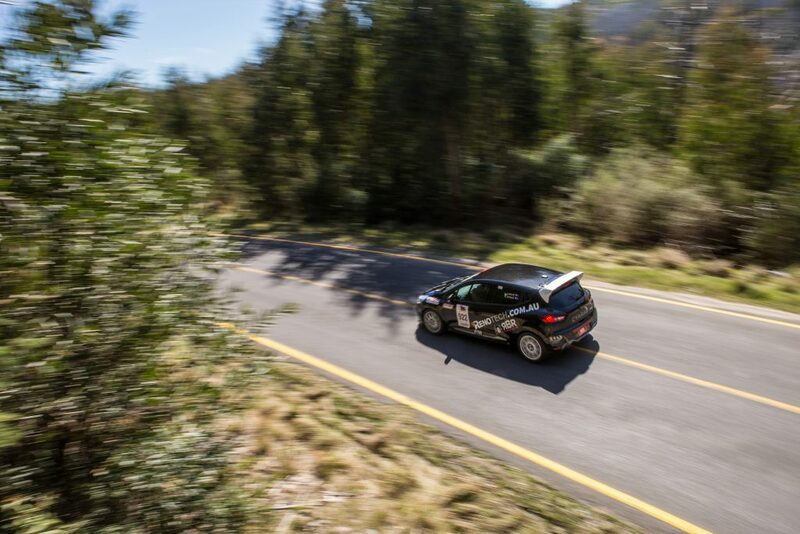 The first stages were always going to be a learning experience with the crew getting used to the car in its first competitive outing, but as the day progressed the stage times improved throughout. 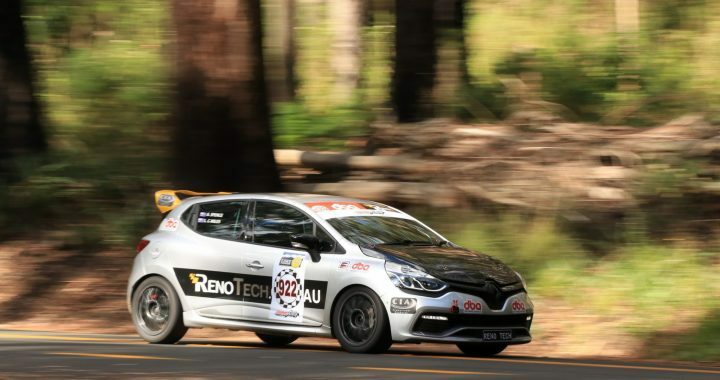 The car is somewhat different to the previously ran Nissan R35 GTR and the team believe the Renotech prepared Clio still has plenty more to give. 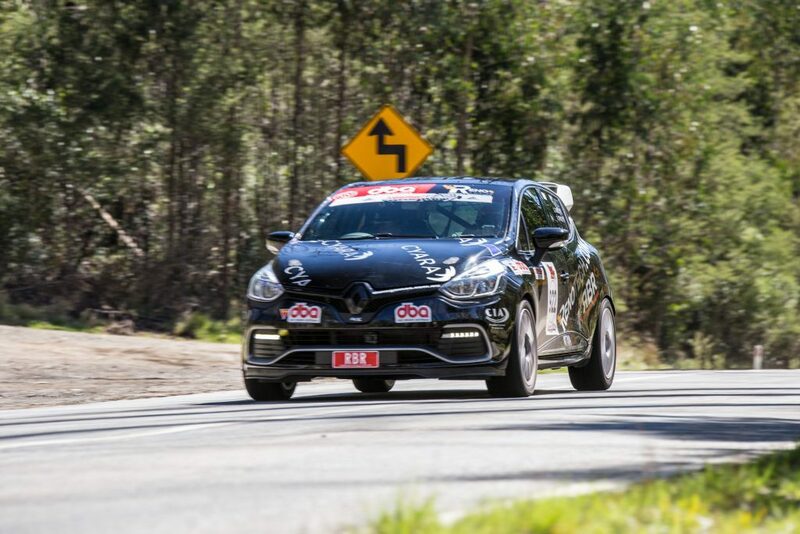 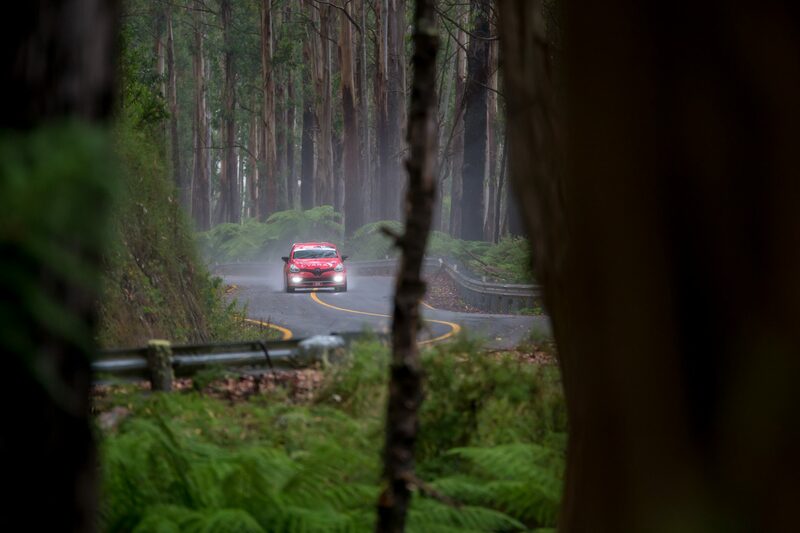 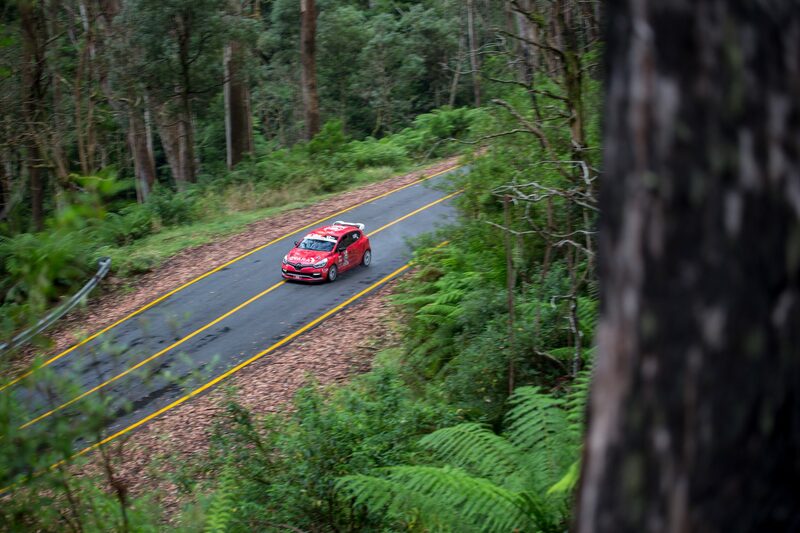 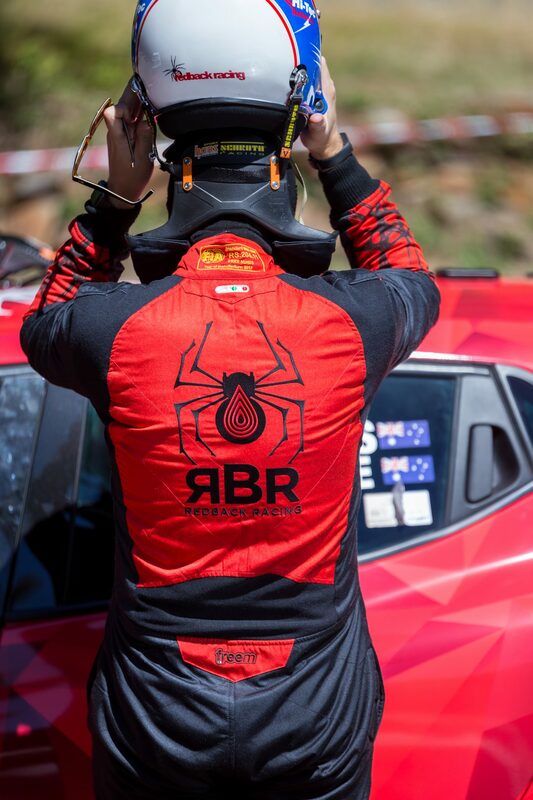 After 8 stages through the Mt Baw Baw mountain range the team sit 8th outright and the second day of the event has a greater number of kilometers to run, so will provide a real test to see how they can progress, keep tuned for an update post the second day of Mt Baw Baw Sprint.